The cargo ship Swanland broke apart and sank north of Wales in November of 2011. Six of the eight crew members were lost at sea. 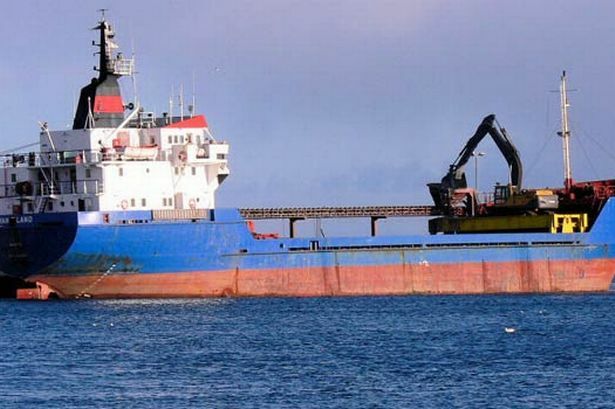 The Marine Accident Investigation Branch (the official UK inquiry board) recently released a report which stated that the tragedy could have been avoided and was in large part due to “money saving” efforts by the ship’s owners. The report highlights several lessons that all companies can learn from this tragedy. 2. Corrosion played a large part in the structural failure of the vessel. This should serve as a reminder that preventative maintenance that includes consistent coatings refurbishing and repainting is not just a cosmetic issue – it is a crucial tool in the battle against the elements. Don’t put off corrosion prevention and repainting – contact a painting company in California (or whatever state you operate in) and have it done soon. 3. Safety measures and procedures must be constantly updated and thoroughly implemented. The report revealed that the ship had not conducted routine abandon ship drills, which may have contributed to the deaths of the crew. It is easy to let safety measures slide, but the lesson is clear: do so at your peril. 4. Codes and regulations are in place for a reason. It was noted that another contributing factor to the sinking was a lack of compliance with the international maritime code. Make sure that your company meets and exceeds the applicable regulations for your industry. While your company may not sink in the Atlantic Ocean if you ignore these lessons, it could sink nonetheless. Learning from this tragedy may save lives, will certainly save money in the long run and will help your company experience smooth sailing in the future.